While some might consider DES a newer artist, he has been on the scene as early as 2011 with his massive single on Moveltraxx, Jumpin Duck. With remixes from Lazy Ants, DJ Earl, Javier Estrada, Vatican Swag and Oui'wack (now Wiwek), Jumpin Duck was a heavy-hitter. 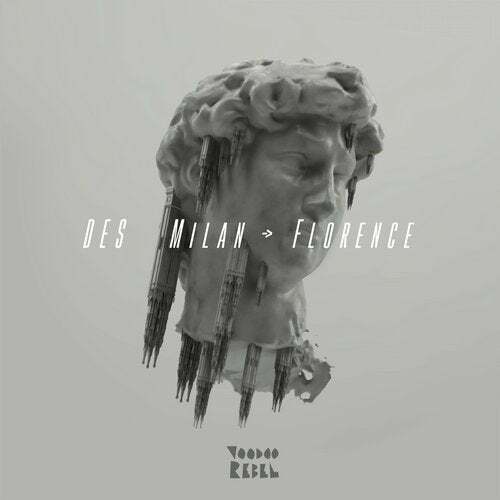 With his last release in 2014 on the Tunacat Label "Rebirth", DES now returns with this savage "Milan / Florence", a heavy Afro-bass EP on VOODOO REBEL, with three original tracks and three remixes. The EP moves between DES's banging electro-house sound and VR's more UK/tropical-experimental sound, with remixes from Tunacat's Boogaloo & Bizt, and global bass heavy-hitter's Motin and prp. The title track creates the right tension with a tribal African chant that transforms into a subdriven, powerful cumbia/breakbeat track. Florence/Milan is a slow moombahton track, where the Brazilian berimbau meets a digiridoo for a mystical, middle-Eastern feel. Ramen & Churches stands out as the most wild track on the EP, with a high-pitched synth and batucadas on a loopy chant. From the remix side, the travel continues with Motin, who gives us a superb remix of Florence / Milan, creating a minimal moombahton track. prp's remix drives the dance floor into a middle-Eastern curry-flavoured journey, with six vibe-heavy minutes of intense teleportation. Last but not least, Boogaloo & Bizt turn the original into a groovy house tune, driven by a hypnotic synth and an irresistible drum pattern.